Holi is such a festival which everyone is eagerly awaiting. In it there is no color of holi, and all the fun of Holi gets faded. Colors look good on the Holi day but after the Holi is over, it looks strange if the same color remains on the skin or hair. But in such a way, we give you tips on reducing color, which you can enjoy Holi with complete independence after using it. 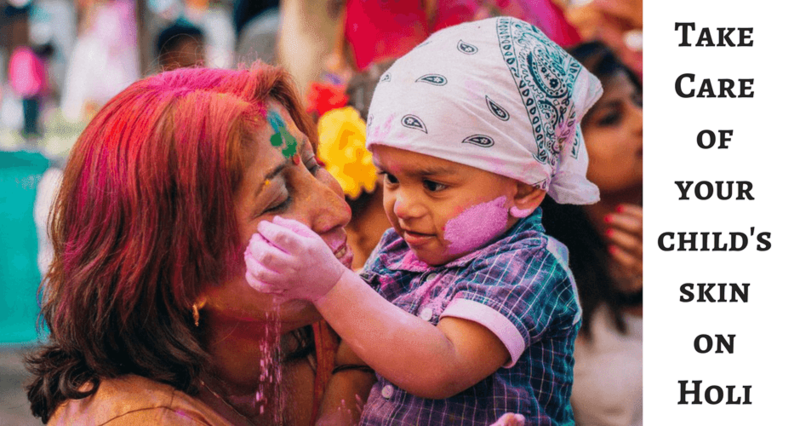 Holi colors contain chemicals and colors can worsen skin and hair. Make more of attempts you want. On Holi, your hair and skin have to suffer a lot. Even if you celebrate Holi with organic colors, but no one else is using colors, you do not know. And because of this, your skin and hair may get worse for a long time. To avoid this, home remedies are used. Before playing Holi, wearing sunscreen on face and hands will prevent you from hazardous chemicals. To protect your skin on Holi 20 minutes before playing Holi, 20 SFF on the skin. Apply sunscreen. If you have bursts, scratches, etc. on your skin, then 20 pspf. Should use sunscreen more than Most sunscreens have a moisturizer. If your skin is very dry then apply sunscreen first, then wait for some time after applying the maischaraijar on the skin. You use maischaraijar lotion or cream on your side and all open organs. Before playing the color to protect the nails from the colors, put a dark colored nailpaint on the nails. The color will not go anywhere inside the nail. Nowadays, hair cream with sunscreen becomes readily available in the market. Take a little hair cream and spread it on both palms and lightly massage the hair. You can also massage it on the hair of pure coconut oil. Apart from this, hair loss due to chemical shades can be saved. After Holi playing, it is important to take precautions in removing the color. When removing the color, use synthetic detergent instead of soap. Its pH level is less than soap. Maslin cloth can also be used to remove the color. Yet it can happen that you have irritation in the face and skin. For this, you can use cucumber. Use cucumbers for face. Cut the potato pieces and put it in the fridge and experiment. You can also use cucumber and tea bags to reduce irritation. This year, you can play Holi without worry, provided that you keep telling the story that you told and try them out. Apart from this, the recipe for another work, you can also use the milk to remove the color. It is a good moisturizer, with very easily removes thickened color with thickness and keeps your skin soft. 1. A day prior to the celebration, apply mustard oil everywhere on your youngster’s body and hair a day prior Holi. This will keep the Holi hues from adhering to the skin and you will have the capacity to wash it off effortlessly after the festival. 2. Keep in mind to apply coconut oil or your ordinary lotion in the ear-projections and behind the ears, since these are the spots, from where it is difficult to expel the shading. 3. Cover your kid’s hair with a top or scarf to keep them from getting to be distinctly dry and weak because of the utilization of hues. 4. It is ideal to dress yourself and your child in a manner that most extreme piece of the body is secured. This will keep the skin from sun harm. Since Holi is for the most part played outside, bear in mind to apply a sunscreen before venturing out. 5. Mothers, you may apply a thick layer of nail paint on their fingers and toe-nails to keep them ensured. 6. Eyes are amazingly defenseless so ensure you keep them secured at all circumstances. The chemicals in the hues can influence your kid’s eyes unfavorably. Wear your sunnies and make your child wear his shades as well. This will shield the eyes from getting any shading. A couple of cool water goggles is the most ideal approach to shield the eyes from unsafe hues. 7. Secure the lips by applying a decent lip emollient on your kid’s lips and a lipstick on your lips moms. 8. Normal hues, for example, reds and pinks are anything but difficult to expel while the unusual hues, for example, green, purple and yellow are not just hurtful, they don’t fall off effortlessly. Thus, attempt and abstain from playing with these. 9. Kids love to play with water expands yet you should instruct them that these can frequently bring about genuine wounds. Of Course, you can prevent them from playing with inflatables yet instruct them to be tender while tossing these at each other so no one gets hurt. 10. Eggs and oil are different top choices that children like playing with. While it is anything but difficult to expel an egg and it additionally feeds the skin and hair; make your youngster mindful that the possess an aroma similar to an egg won’t leave too early. These ought to be utilized just with somebody’s assent. You might also like: How would You Handle and Carrying a Newborn Baby?